We have a “Ride ‘em In” Ladies Only bike show running from 12pm to 2pm: Just ride up to the gate, grab a number and a tag and try your luck! Our 8 awards will be in the following categories: Best Vintage, Best Sportbike, Best Cruiser, Best Classic, Best Paint, Modern Moto Favorite, LB Lita’s Choice and People’s Choice. 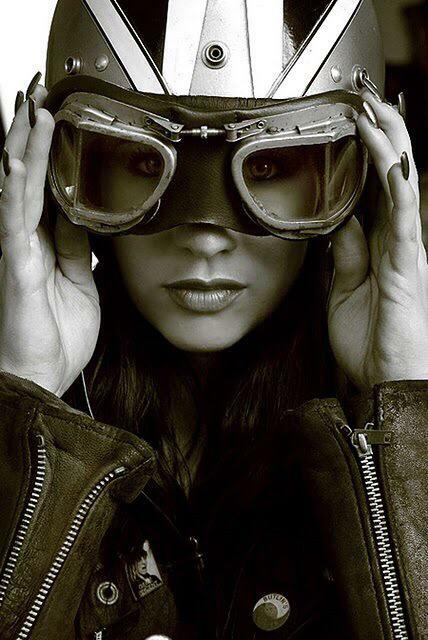 There are absolutely NO rules (other than Ladies Only) so if it’s got 2 wheels and an engine… its in! Food trucks, Raffle prizes galore, Ducati test rides, music, beer probably.. whats not to love?! 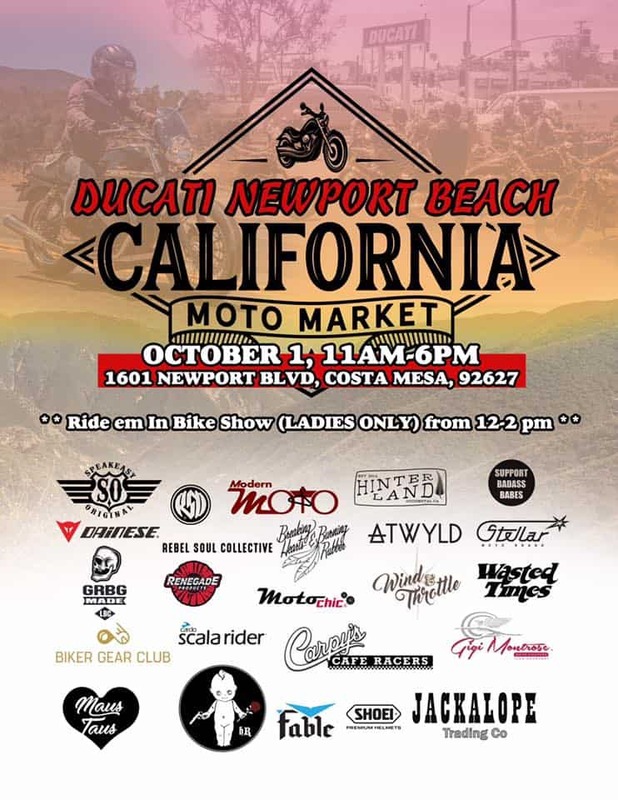 This is Hosted by California Moto Market & Ducati Newport Beach as well as Triumph Newport Beach. 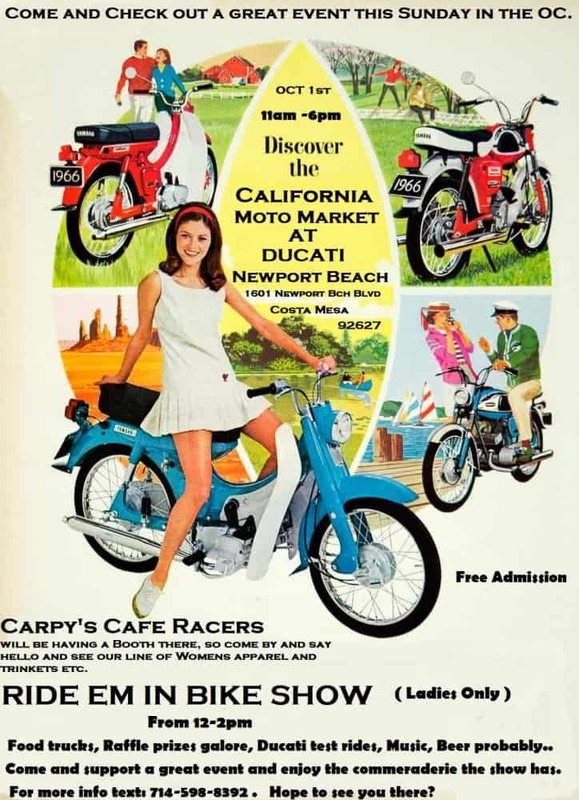 Of course we shall be there Carpy’s Cafe Racers, and Promoting Women riding too. 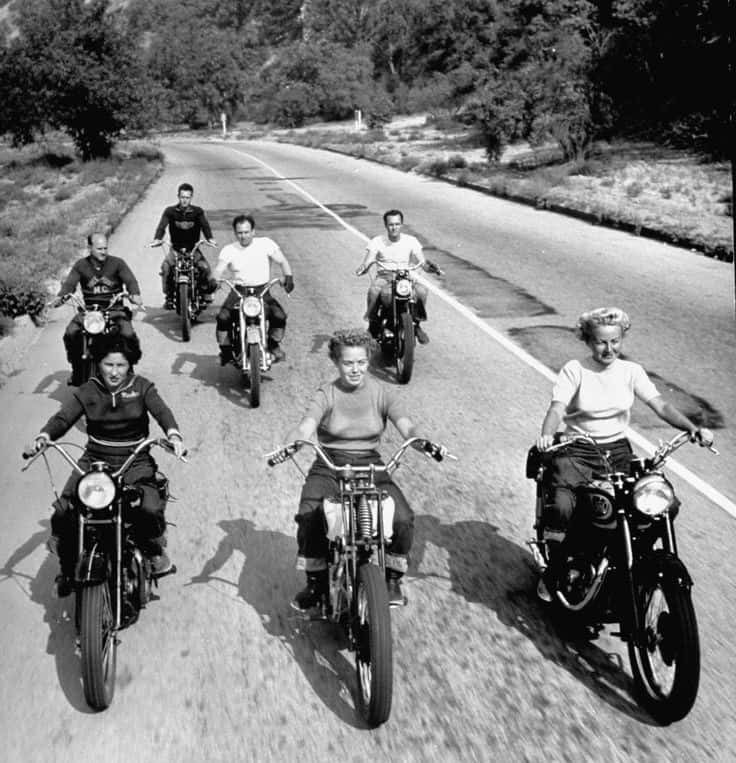 This will be great and I always promote women riders, My Girl rides and my buddies in our 59 Club O.C. section ride, so if you can come out, say hello and it will be great to see you. We have a booth there, just like for the Brown/Tan Eazy up and we shall have Apparel on display for you to look at. Have fun this Sunday and support this event, you may win a prize too. You can call or text if you need any more information at 714-598-8392, Look forward to seeing you, come by and say hello as it will be great to meet like minded folk. 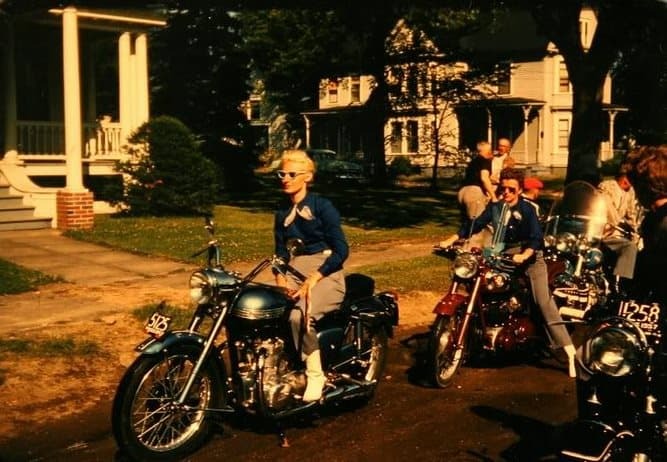 This entry was posted in Blog and tagged Atwyld, BH&BR, Biker gear Club, Breaking Hearts & Burning Rubber, California Moto Market, carpys cafe racers, Dainese, Ducati, Ducati newpoert, Fable Shoei helmets, Gigi Montrose, GRBG Made, harley, Hinter Land, Honda, Jackalope trading Co, Maus Taus, Modern Moto, Modern moto maGAZINE, Moto Chic gear, Motorcyclist Magazine, OC Motorcycle, Rebel Soul Collevtive, Renegade Products, Roland Sands design, Scala Rider, Speakeasy original, Stellar, Support badass babes, The Wild Ones, triumph, Triumph Newport, Wasted Times, Wind & Throttle.